Paper Crafts by Candace: Turkey Poop! where I was the main dish. You know, you had me duped! 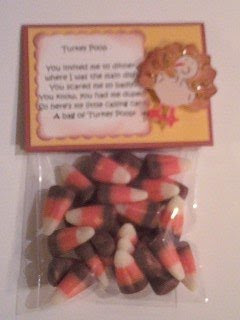 A bag of Turkey Poop! Holy turkey poop... that is so cute.